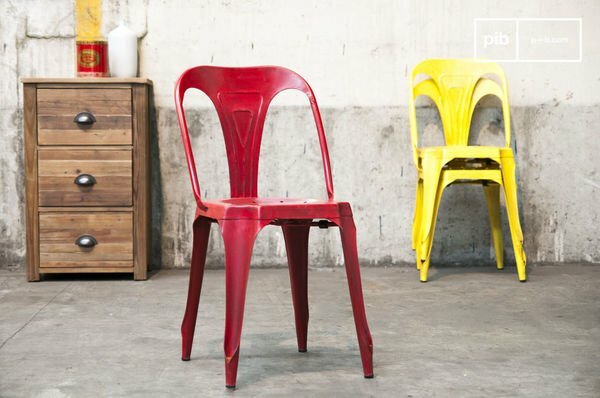 Where do industrial design furniture pieces come from? Industrial furniture is used to describe workshop and factory furniture from the beginning of the 20th century. industrial bar stools, wooden tables, ceiling lamps and the like were typically used by workers and played a part in improving working conditions. Nowadays, such vintage furniture is repurposed for use in the home. 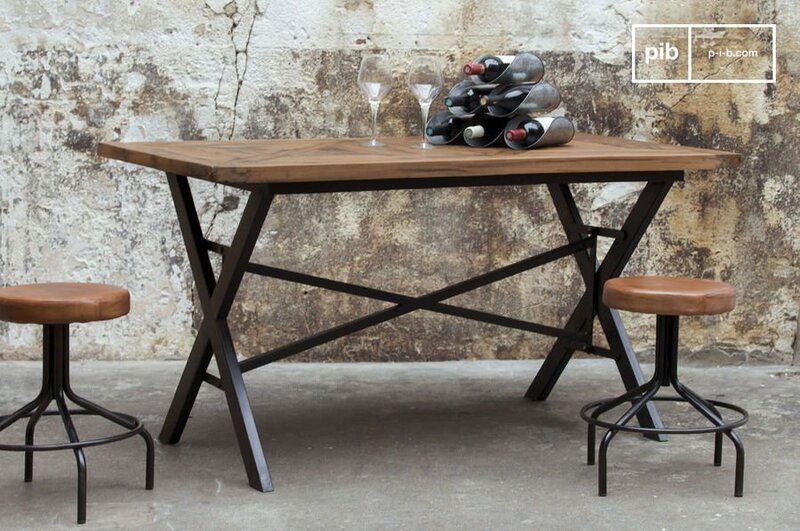 industrial furniture was originally made of wood and steel because at the time, these two materials were very easy to work with. 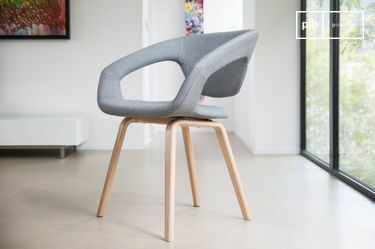 During the Industrial Revolution at the end of the 19th century, workers' working conditions started to improve, partly due to the use of these more appropriate materials and furniture. Industrial lighting provided a powerful light source, allowing workers to continue to work after sunset; stools and chairs became more comfortable and the large tables employed were very robust. This kind of industrial furniture had a positive impact both upon the quality of the work in hand and upon productivity. Factory furniture became popular and more and more people who were not connected to the workshop environment started to take an interest in it. Industrial furniture began to spread to the tertiary sector and gradually appeared in offices. Such furniture created a more user-friendly environment for both employees and customers. Large industrial furniture such as leather sofas, vintage coffee tables, wall lamps - all these new furniture trends improved comfort and facilitated customer relations and negotiations more generally. In New York at the start of the 1980s, architects, artists and designers settled down in lofts, created in former factories. They needed plenty of space and had to have a combined workshop-living area. 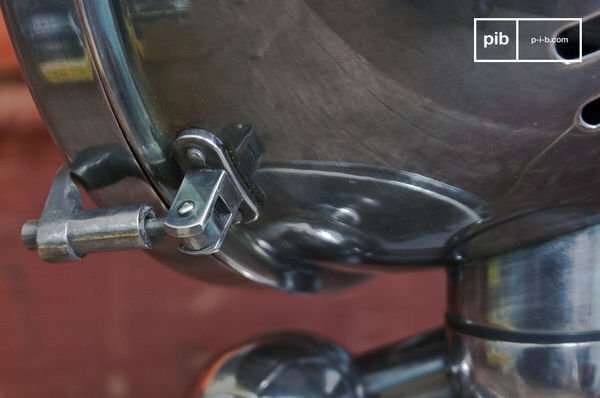 They kept the original furnishings and materials such as wood and metal, and this is how industrial design was born. Brick walls, concrete floors and steel frames are retained in their entirety, making a perfect match with the industrial design furniture in the kitchen, the living room and the bedroom. After the advent of the era of mass-produced, disposable, poor-quality consumer goods, this new kind of robust décor was just what people wanted. A return to classic furniture items inspired by workshop designs was part of a new way of thinking which became very popular. Nowadays, industrial furniture is classed in the vintage and industrial furniture categories. 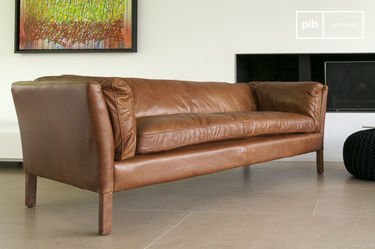 Leather sofas and industrial chairs are the great classics of the living room. They create a warm atmosphere, ideal for a family or to welcome friends. The main characteristics of vintage leather sofa are incredible comfort and real sturdiness. Another advantage is that leather does not absorb odours as much as some other fabrics and is easy to clean. To furnish a living room, you?ll need a coffee table along with a leather sofa. Nowadays, various shapes of coffee table are to be had. 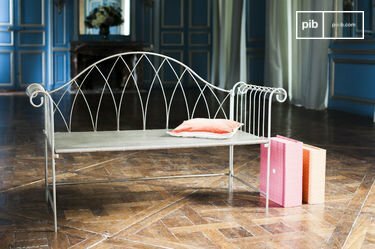 Made from wood or metal, the retro coffee table combines elegance and the unfinished look which is a major component of an industrial style décor. Like all industrial furniture articles, coffee tables are robust and go perfectly with any interior design. 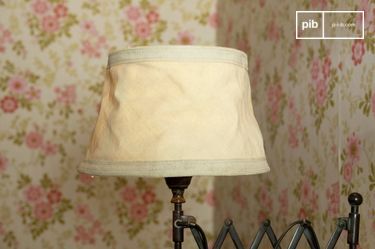 Choosing the perfect lamp is an essential aspect of interior design. Lighting sets the tone for a room's atmosphere and it should fit in with the rest of the room's furniture. It is generally recommended you choose an industrial wall lights and one or two other light fixtures such as vintage retro floor lamps or desk lamps. 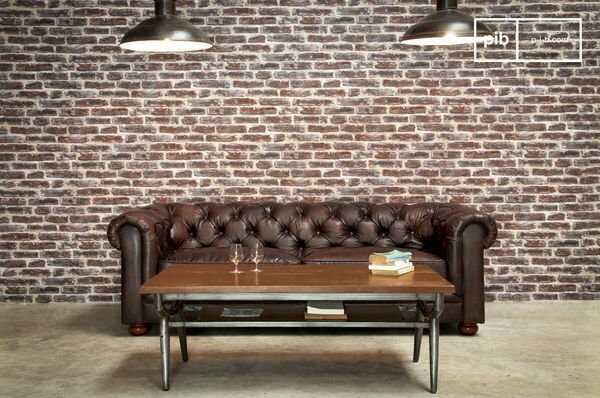 To complete your industrial décor, you can pick industrial items such as vintage mirrors, decorative boxes or cushions for a cosier touch. 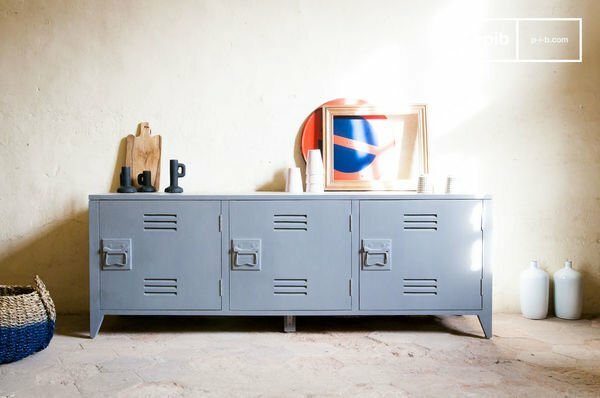 For all your storage needs, choose your favourite vintage shelves, industrial console table or a metal storage cabinet.